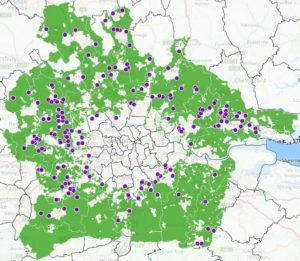 The London Green Belt Council brings together over 100 organisations including councils, residents & environmental groups with a shared concern for London's Green Belt. The Council meets three times a year in Parliament. There is an executive committee which meets more frequently. We also provide the secretariat for the All-Party Parliamentary Group for London's Green Belt. By promoting our messages to the public, politicians and decision-makers, we aim to ensure that everyone is well-informed about the vital importance of London’s Green Belt – with a view to ensuring that it is sustained into the future. Part of this work also involves challenging those who argue that development should be allowed on the Green Belt. In particular we aim to set out the compelling evidence which shows that there is no need to build on London’s Green Belt and that in fact this will be hugely detrimental to London, the South East of England, and the nation as a whole. Find out more about London's Green Belt and its history.